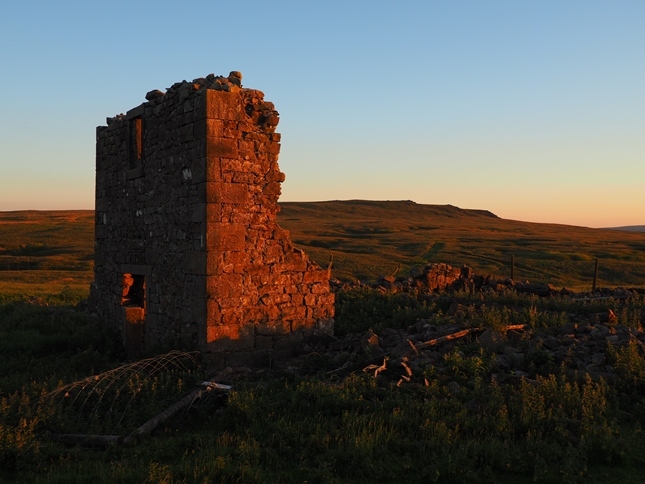 High Crag, which has the rather more interesting alternative name of Rear Clouts, is a hill situated between Stump Cross Caverns and the head of Washburndale. High Crag sits high above Skyreholme Beck to the west and the source of the River Washburn to the east. Just under ½ mile to the north the B6265, between Greenhow and Hebden, passes the popular show caves of Stump Cross Caverns just below the hill. 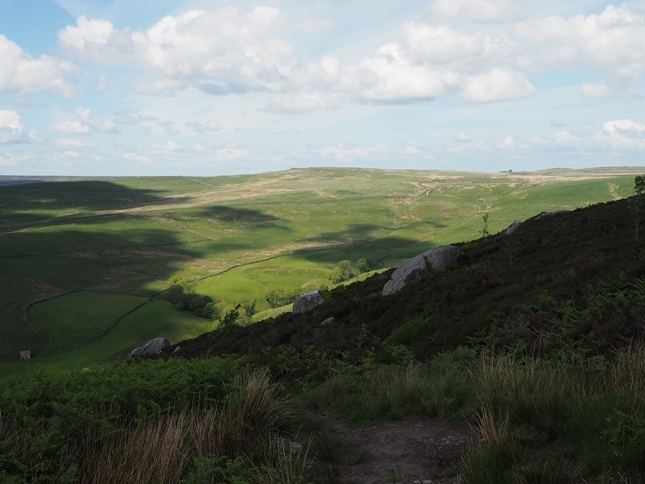 In contrast to some of its near neighbours, such as Greenhow Hill Top to the east and Simon’s Seat to the west, High Crag does not manage to stand out very well from its surroundings. Even the limestone knoll of Nursery Knot, on the opposite side of the road, manages to assert itself more than High Crag. 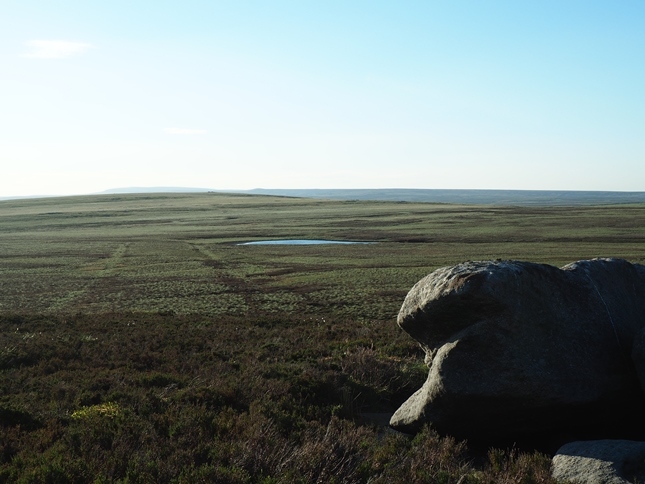 High Crag is joined to the higher ridge featuring Great Pockstones and Simon’s Seat by a broad col on Tarn Moss which features the little visited Blow Tarn. 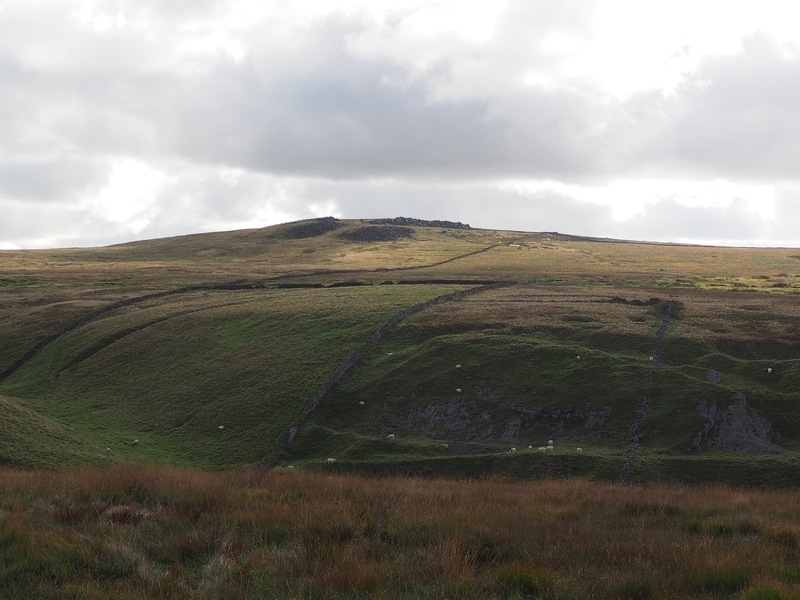 The increase in height from Tarn Moss to the summit is very gradual. Indeed when viewed from Rochard Crags on the other side of Tarn Moss it looks almost flat. Only from the road below Stump Cross Caverns is there any great build up in height. 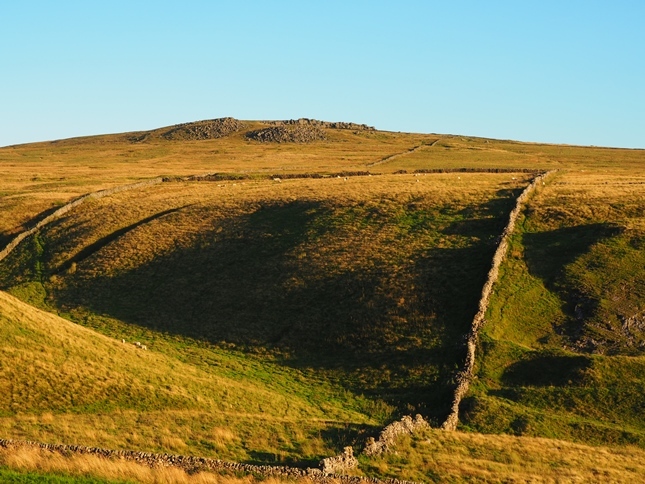 Although the southern and eastern slopes of High Crag are rather featureless the same cannot be said of the immediate environs of the summit. 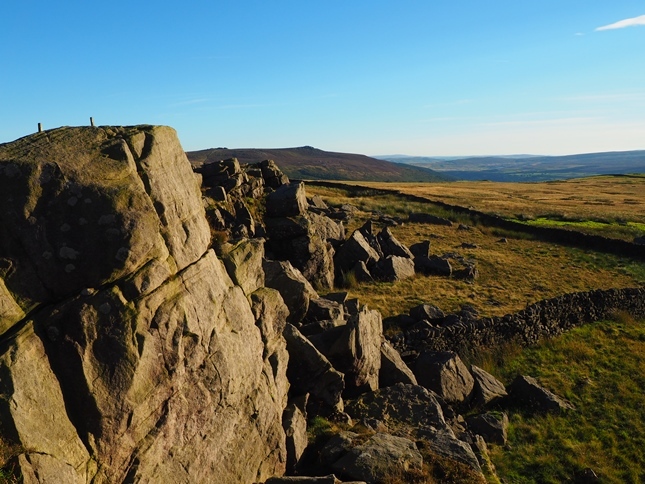 Indeed the scattering of gritstone outcrops immediately to the north and west of the highest point are the chief glory of High Crag. 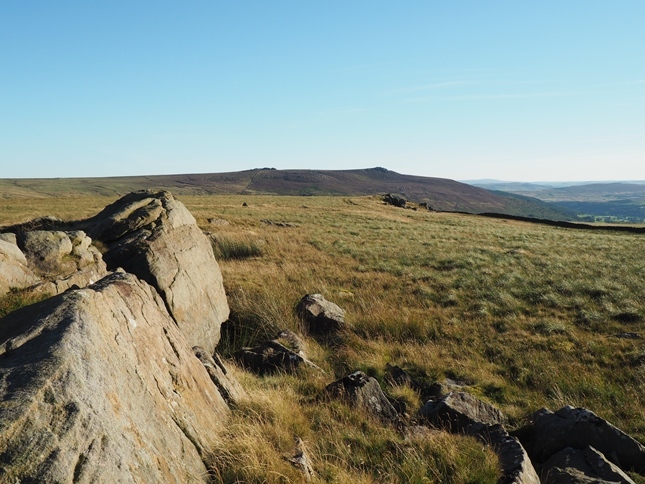 The highest point is set slightly back from the crags and takes the form of a small rib of exposed gritstone. While the views are fairly good I much prefer the view from the crag to the north-west by the wall. Here the added depth provided by the steep drop from the crag provides a more satisfactory viewpoint. High Crag can be reached fairly easily from the north or south. From the south the approach is via the track that climbs up from Skyreholme Road. From the north there is a track that leaves the road to the west of Greenhow. After passing the remains of some old mine buildings a thinner path works its way up to the wall 100m or so away from the summit. I’ve twice visited High Crag, both times on a summer evening. 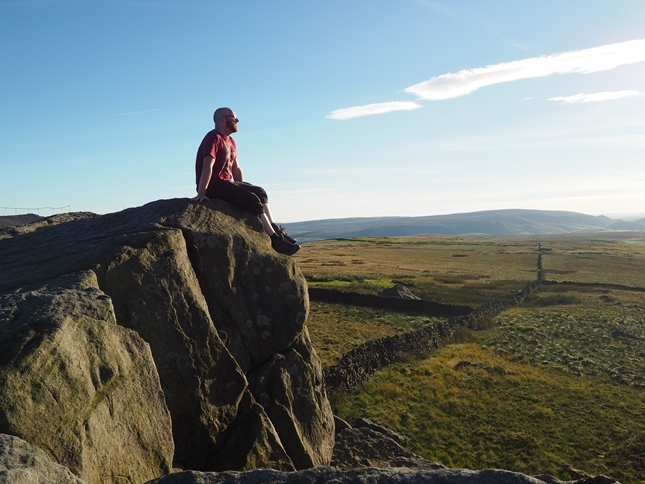 It is a lovely place to sit and enjoy the views across this little corner of the Dales.